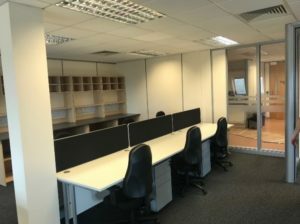 Solutions 4 Office Ltd have just completed an extensive refurbishment of one of Britain’s leading research companies in Essex. 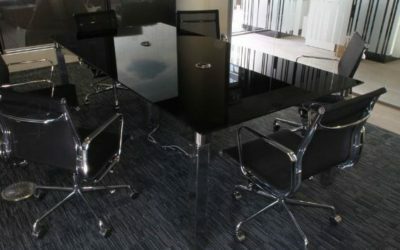 Solutions 4 were tasked with taking down offices, building new meeting rooms, laying new carpets and vinyl flooring and decorating nearly all of the research company’s office space. Along with this, Solutions 4 had to complete the works while the staff continued to work, keeping disruption down to the bear minimum throughout the project. Solutions 4 Office lived up to their name providing a complete solution for all aspects of our office re-organisation & refurbishment project, over a 7-month programme, working with us closely to ensure disruption & disturbance to our staff was kept to a minimum at all times. They provided an all-round professional service throughout the project which was successfully delivered on time, to budget and was well received by staff on site. 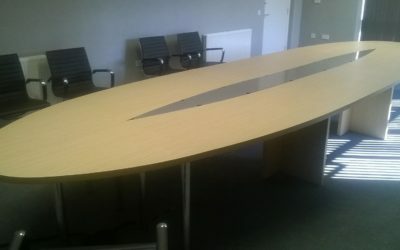 The Solutions 4 Office refurbishment team Solutions 4 Office Interiors team can provide guidance on the best way to create your perfect office refurbishment project. The team can look after every aspect of your works including the full planning and technical aspects. Contact the office refurbishment team now.